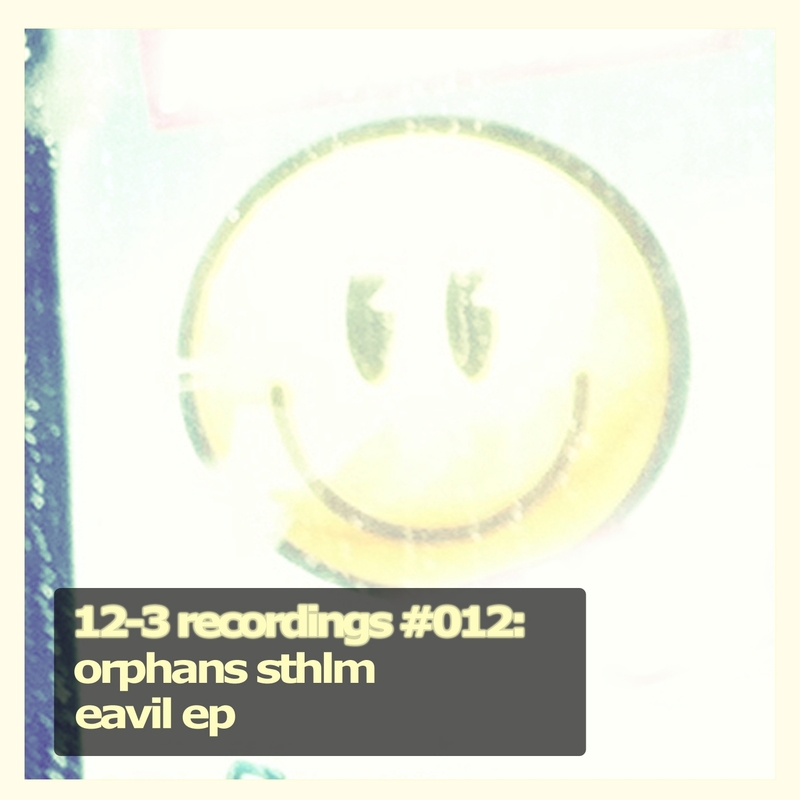 Preview this new, dope release from Stockholm based duo Orphans! 12-3 Recordings #12! After the celebrated Heist EP on 12-3, Andy and Kasper are back with an even stronger follow up: three track Eavil EP identifies everything we love about house music. It’s playful, bouncy, epic and dance floor tailored. Title track Eavil masterfully supplies a floating voice over a wide sound picture, a powerful house beat made for those big clubs, framed by a cyclical and inspirational melody, demanding that you move your feet to the rhythm. The EP takes a different direction with second track Pleasure Machine, one of the most intricate percussion patterns we’ve heard lurks in the constant outskirts of the track. While a mystic voice repeats a hymn over a tightly constructed tech house production. The mythological flute frames the track perfectly: this is the pleasure machine. Finally, Beezus finishes off the EP in a majestic way, a true techno monster, included the manic bassline and frantic voice sample. Dance floors are going to burn.